We have so much to talk about but before we even get started, has it ever occurred to you to watch a nighttime soap opera in a different language? I mean, I watch BBC shows all the time, so I kind of get it* (*not really) but I don’t know how it has never occurred to me to watch another country’s subtitled version of say, Grey’s Anatomy. I watched season 1 of Jane The Virgin which is basically a Telenovela, (a Latin soap) so it kind of counts* (*it doesn’t count) and I’ve watched my Polish mother-in-law watch her soaps, which always make me wish I could understand Polish because Babcia’s soaps are the best – they always involve a rogue priest having a torrid love affair with a pregnant nurse or a nun – but I’m getting sidetracked. Before watching Kurt Seyit ve Şura it had never occurred to me to go out and find, say, a Turkish soap opera on my own. And now that I know what I’m missing I can never go back. Basically, I’m forever indebted to Netflix, both for buying the rights to Kurt Seyit ve Şura and for giving it a 5-star recommendation for me so I could find it. It really is the the Turkish soap opera I didn’t know I always needed. 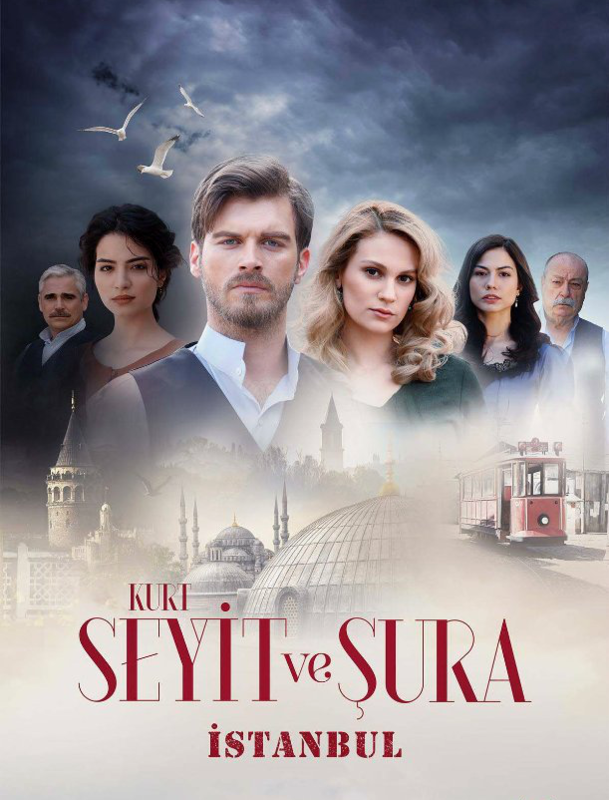 Obviously I don’t know the successful formula for Turkey’s dramatic TV programming but if it helps, Kurt Seyit ve Şura is a mix of about (50% Poldark and Pride and Prejudice) + (50% Grey’s Anatomy + Your Favorite Telenovela or Daytime Soap) = 100% glorious. I wrote it out like an algebra equation to help you understand the precise level of dramatic quality. You’re welcome. Here’s the skivvy on the plot: the backdrop for Kurt Seyit ve Sura is a crumbling Russia at the beginning of 1915, right before things go south with Tsar Nicholas II and the start of the Bolshevik Revolution. Basically, chaos. 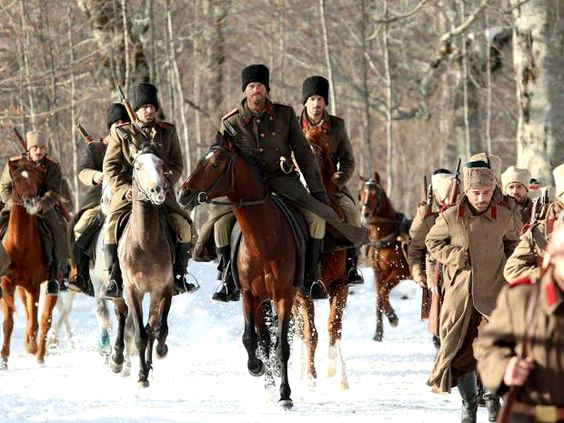 Luckily for us there’s a pack of handsome Turkish soldiers temporarily stationed in Mother Russia, and they’re totally interested in some romantic dalliances with a social circle of beautiful Russian nobility before they head off to war. Seyit, our main hero, is a straight up fox. I’ll be honest, he sold the show for me when I was waffling about watching a Turkish soap opera (for heaven’s sake). I mean, Seyit has great hair. Like, shampoo-commercial-worthy, but the critical mass here is his facial hair. 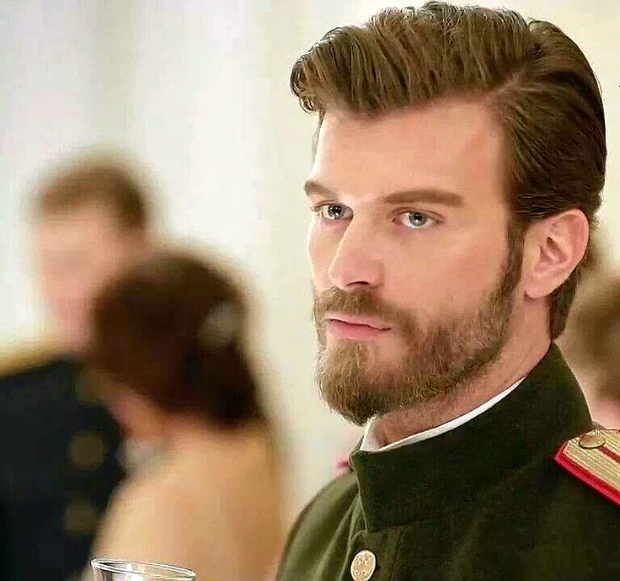 Seyit’s eyebrows are ridic, (I didn’t know I could enjoy eyebrows so much) and that Tsar Nicholas beard with a little point on the end? Well. Maybe only a Turkish soldier on the front lines of love and war can pull it off, but the military uniform sure doesn’t hurt. 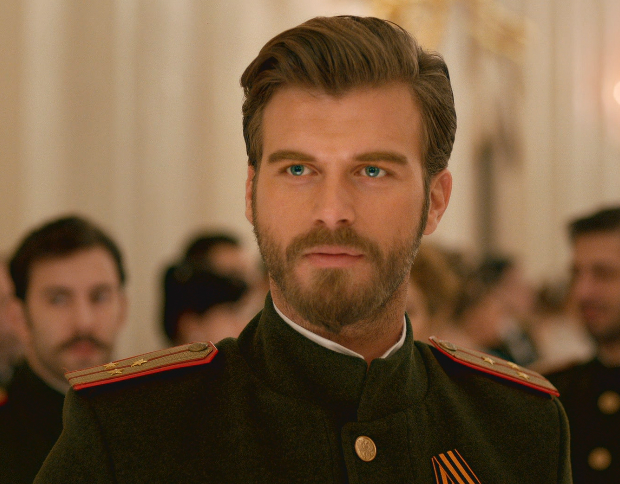 Seyit has a bit of a Chris Hemsworth thing going on, but Turkish and little more brooding (I’m sure it’s stressful being on the front lines of a revolution) and I forever more I’ll want every hero in my stories to be him. The best part about Kurt Seyit ve Şura is that there’s a ton of action and several plot-lines to follow. A ballerina with the Bolshoi! Traitors! Forbidden love! War! Family feuds! There’s train hopping and random slow-mo camera work interspersed with music fit for a Russian revolution, and we didn’t even get into the dramatic horseback riding and the military uniforms.